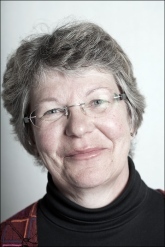 Annika Rabo is a professor of Social Anthropology at Stockholm University. She received her Ph.D. in Social Anthropology in 1986 after completing a thesis on the political and social effects of a gigantic irrigation scheme along the Euphrates in northeast Syria. Since the late 1970s, she has conducted fieldwork in various parts of the Middle East, particularly in Syria focusing on various topics. Analyses of categorizations and systems of classification, analyses of the state, bureaucracies, and policies as well as migration and state-citizen relationships have been central in her work. She has published extensively on development issues, gender and family law, education migration, and Muslim-Christian relations. Of particular relevance for conspiracy theories, there is “’It Has All Been Planned’. Talking about Us and Powerful Others in Contemporary Syria.” Conspiracy Theories in the United States and the Middle East. A Comparative Perspective, edited by Michael Butter & Maurus Reinkowski, Berlin: Walter de Gruyter, 2014, pp. 212-227.